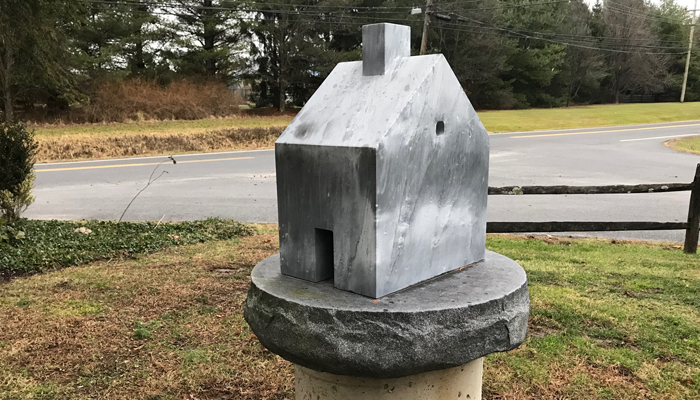 Common House is an Italian marble sculpture by Lauren Ewing, an American sculptor, that is currently displayed on the front lawn of St. Philip's. It is part of the PNC Arts Alive Sculpture Project on exhibit throughout the New Hope area. The artist's statement about this work: "Common House is one of a collection of American premodern house types; they are familiar in every small town. As such, they are a part of social memory and contribute to our sense of belonging. Some were built in the late 18th century, and most in the 19th century. As they are well over 100 years old, they are disappearing from the rural and urban landscapes.